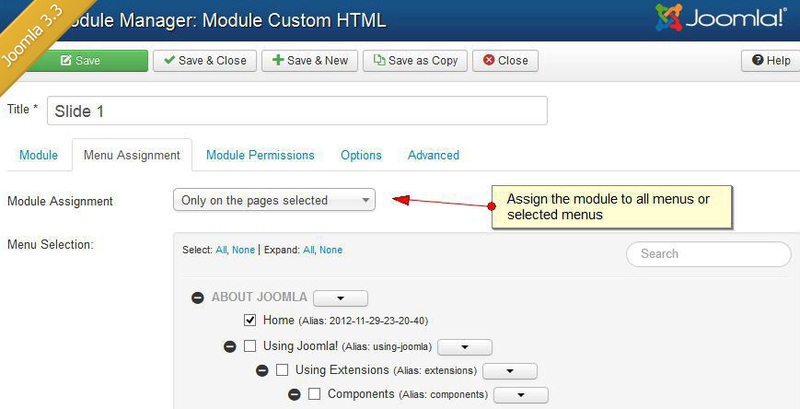 This document will talk you through how to setup the slideshow which is used in a number of the Joomla templates we have released at the site. The first step is to create new JPEG images on your computer for each slide you want to include in the slideshow. 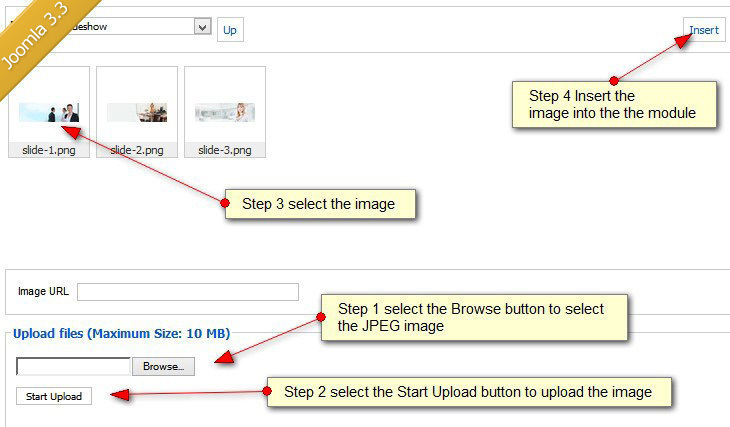 For example if you want to include four images in the slideshow then you will need to create four separate JPEG images. The images will also need to have different names. Example slide1, slide2, slide3 and slide4. We recommend you install one of the following applications to create the new JPEG images. The next step is to create a new custom HTML module position for each slideshow image you want to display in the slideshow. 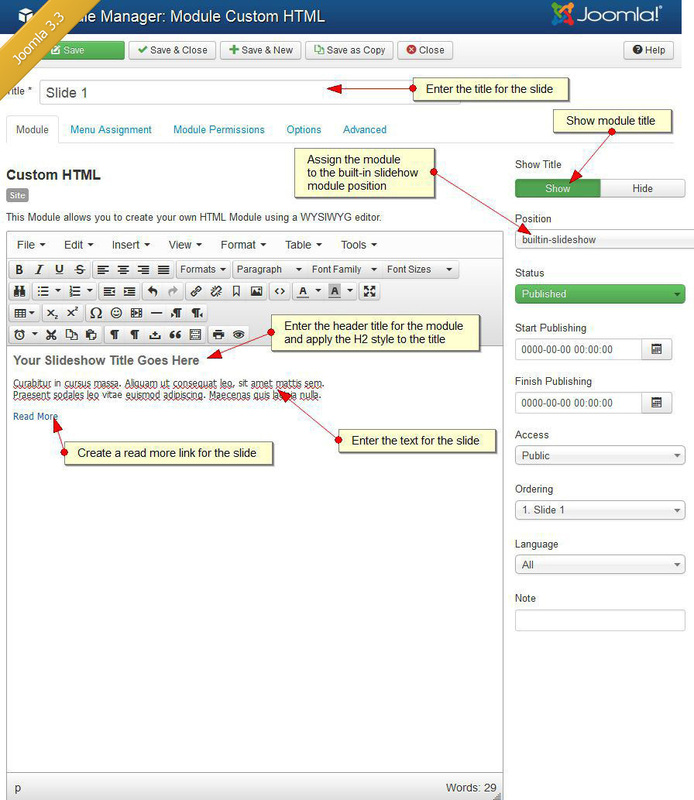 After you have created the new images to be included in the slideshow and new custom HTML module positions for each slide you wish to publish to the slideshow you now need to open the control panel and update the slideshow settings. 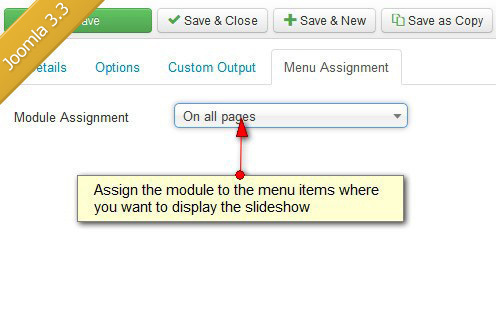 Now the slideshow is running at your website you may also want to customize the settings included in the slideshow.